Carl, G. Clifford and C. J. Guiguet. 1958. Alien Animals in British Columbia. British Columbia Provincial Museum, Department of Education, Handbook No. 14. Victoria, BC. Opossums were introduced on Camano Island and at Sedro Woolley, Washington about 1925 and have apparently become established there. Two specimens killed at Crescent Beach, British Columbia, in December 1949, are the only records for the province. The animals are believed to originate from the Washington introductions. Because humans have raised the rabbit for food for many years, we are unable to trace the original introduction of this animal to the province. Inevitably some of these domestic animals escape or are turned loose and go feral, but so far no appreciable populations have become established in British Columbia. Apparently stock was released on Bare (Mandaarte) Island near Sydney and on Strongtide Island in the Chatham-Discovery group. These small islands are now periodically overrun by rabbits, which increase in numbers until the available food-supply becomes exhausted. Starvation reduces the numbers drastically from time to time, but sufficient numbers survive to maintain the species there. 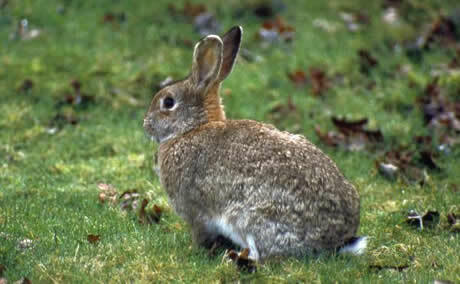 On Vancouver Island, principally in the Sooke Road area, and in the Highland District, escaped rabbits have from time to time established small localized populations, but none so far has spread. We have learned from Capt. William Higgs, of Nanaimo, and Mr. Herbert A. Spalding, or South Pender Island, that domestic rabbits were released on South Pender Island about 1909 or 1910 by A. E. Stanford, a resident of the island at that time. The animals multiplied exceedingly for a few years, but soon began to decrease in numbers: none has been seen since about 1916. This species was introduced to the Queen Charlotte Islands (no data) in the vicinity of Tlell, where two or three animals were observed by in 1946, but apparently this introduction was largely unsuccessful. Rabbits were also released on Triangle Island (Scott Islands) sometime prior to 1921; two were seen when we visited the island in 1950. In 1954 it was rumoured that rabbits from San Juan Island had been released on Chatham Islands. Introduced to several counties in Washington between the years 1926 and 1933, this species has crossed the International Boundary and has become established in the vicinity of Huntingdon, BC. First records were secured by Mr. A. Racey (1953) in January, 1952, but animals had been seen in the area since 1950. Present status in British Columbia: Small populations established in the Fraser River delta from Langley Prairie to Huntingdon, specimens from both localities. Gray Squirrels were introduced to Stanley Park at Vancouver shortly before 1914. Three or four pairs were released from stock believed to have been obtained in Ontario. They had become established by 1920. Present status in British Columbia: Robinson and Cowan (1954) in their study of the Stanley Park population indicate that this species has stabilized at the level attained in 1920, which numbers were from twenty-five to sixty animals, based on a census taken from June through August. The animals are confined to Stanley Park. The Norway Rat apparently arrived in British Columbia very early, probably with the first [sailing ships]. The Norway Rat is well established throughout the coastal sections and just about everywhere. Imported to North America from Europe. This species apparently arrived later than the Norway Rat (dates unknown), but it cannot compete with that species where it comes in contact. It is less common than the Norway Rat in most areas of the province, but it is well-established on the Queen Charlotte Islands and the mountains adjacent to Vancouver, hybridizing with the Alexandrian rat in both areas. The Alexandrian Rat resembles the black rat in size and form, but is brownish-grey in colour with a white belly. It hybridizes freely where the two subspecies come in contact. It is well established in the wild on the Queen Charlotte Islands, and has been recorded from Vancouver Island and the Lower Mainland. The dates of introduction are unknown. The original range of this species is North Africa. The date of introduction of this species to the province probably coincides very closely with the arrival of the first settlers, although it has not penetrated yet to most coastal islands and the Queen Charlotte Islands. It does occur on Vancouver Island. This is a European import. The Nutria has been imported to British Columbia over a period of years, beginning about 1938. It is believed the first ones were brought in by a resident of Ladner at that time for the purpose of fur-farming. A few of these animals have escaped from time to time and are reported occasionally on the Lower Mainland and on Vancouver Island. In some parts of the United States feral populations of Nutria have become established, to the serious detriment of large tracts of marsh lands and the native fauna therein. Present status in British Columbia: No large feral population so ar established, occasional records only. This species originates in South America. In 1914 the Game Commission brought a buck and three does of the red deer to British Columbia from New Zealand. The animals were kept at the game farm at Chilliwack until 1918, when they were released near Masset on the Queen Charlotte Islands. Present status of the Red deer in British Columbia: In 1946 Ronald Stewart, longtime resident and then special Dominion Waterfowl Officer on the Charlottes, reported that the animals had formed a fairly large herd, which declined abruptly during the years of World War II. The decline was attributed to over-hunting by transient service personnel according to local residents. This seems unlikely, but there are no recent authentic records of Red Deer on the Queen Charlotte Islands. Red Deer at one time ranged over much of Europe and Asia. 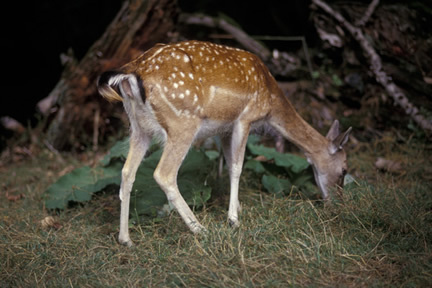 Fallow deer were introduced to British Columbia by Mr. Irving H. Wheatcroft about 1895. They were released on James Island and became so well established there that periodic control measures had to be adopted. Animals were trapped by the Game Commission on several occasions and released on Saltspring and Pender Islands and in the Alberni district on Vancouver Island. The first transfer was made in 1931; additional animals were released on Saltspring Island and near Alberni in 1934 and 1935 (George Stevenson). Present status in British Columbia: Still present on James Island. Occasionally an individual swims across and is seen on the Saanich Peninsula. The species failed to establish appreciable populations elsewhere, except on Saltspring Island, where a small herd is said to exist. The species is said to have disappeared from Pender Island by 1940. The European Grey Partridge was first introduced to North America sometime prior to 1879. These and subsequent introductions were made by private individuals in the southern United States. In 1908 and 1909 the species was introduced in southern Alberta, and later in the northern areas around Edmonton. Introductions made in Washington State had, as early as 1917, spread into the southern interior of British Columbia and account for the population which is established there. Coastal plantings, the first in the province, were made near Vancouver in March, 1904, when fifty-seven 'huns' obtained by public subscription were released. Thirty-two were liberated in 1904, 167 in 1907-08, and 277 in 1909. Various numbers were planted in succeeding years, and in 1915 the first open season was allowed. About 4500 'huns' were released on Vancouver Island in 1908 and 1909 by J. L. and A. E. Todd, who also planted seventy-two birds on James Island and thirty-two on Sidney Island. Also in 1909 A. R. Spalding and H. R. Pooley released ten birds on South Pender Island. Interior: Extremely abundant in the Okanagan Valley in 1925-26; suffered abrupt decline in 1927 and has since maintained a low population level (Munro and Cowan 1947). Still abundant in the southern interior around Osoyoos. Lower Mainland: Small flocks are still present at Sea and Lulu Islands and in the vicinity of Ladner and at other points, but on the whole the species has not succeeded. Vancouver Island: Small flocks are still present at Victoria and on the Saanich Peninsula, but here again no appreciable populations have become established. Chukar Partridge were first introduced to North America some time prior to 1934, and to British Columbia at Alkali Lake and Dog Creek in 1940 by Mr. A. D. Hitch of Whonock BC. Although this early introduction failed, the species was again introduced in 1950, when seventeen birds were released by the Game Commission at the Harper Ranch near Kamloops. In 1951, fifty-two birds were released in Oliver. Introductions were continued annually until 1956 from stock obtained at Mr. Hitch's game farm at Whonock. Present status of the Chukar Partridge in British Columbia: The population has increased and spread in the release areas and along rocky stretches of the Thompson River. According to the Game Department records, Bob-white Quail were first introduced to British Columbia by the BC Forest and Stream Club in 1899 and planted at various points on the Lower Mainland. One hundred and fifty-six birds were released. One hundred and thirty were released near Ashcroft in 1900, thirty-two near Shuswap in 1905, and thirty-five at the Coldstream Ranch near Vernon in 1907. In 1922, additional birds were released on Vancouver Island. The species is said to have been present on South Pender Island in 1886, when the first settlers arrived, but there is no record of this early introduction. Present status of Bob-white in British Columbia: Said to have done well for a period of years in the southern interior, but the latest authentic record for that area is listed as January 1912, by Munro and Cowan (1947). Several flocks survived near Huntingdon on the US boundary, but were exterminated in the severe winter of 1947-48. There are no recent reports from Vancouver or Pender Island. It appears that Bob-white introductions to the province were unsuccessful. California Quail were first introduced to British Columbia in 1860 or 1861 by Charles Wylde, a resident of Victoria, who released them in the vicinity of that city (Wylde, 1923). Later, in the 1870's, the species was again introduced to the same areas by Simon Tolmie. In the 1990's further introduction (no details available) were made on southern Vancouver Island and the Lower Mainland. In 1908 and 1910 introductions were made near Nicola in the southern interior and on the Queen Charlotte Islands. Between 1907 and 1909 A. R. Spalding and H. R. Pooley released thirty birds on South Pender Island. Birds introduced to northern Washington about the same time are believed to have spread northward through the Osoyoos area and, with the Nicola birds population, the southern interior of the province (Munro and Cowan, 1947). Present status of California Quail in British Columbia: Well established on Vancouver Island, mainly in the Saanich Peninsula, Victoria and Sooke areas, occurring sporadically north to Comox. It varies in numbers from year to year, but populations are now relatively low after many years of abundance following the introductions. A few birds are still present on Pender Island. Lower mainland introductions were not successful, although small numbers still maintain themselves there, especially in the vicinity of Ladner. Well established in the southern interior, plentiful in most years in the Osoyoos area. Queen Charlotte Islands introductions were unsuccessful, as were introductions in the Vanderhoof area. Mountain Quail were first introduced to British Columbia at Victoria in 1860 or 1861 by Charles Wylde at the time he released California Quail (Wylde, 1923). At the same time, introductions were being made in Washington, on San Juan Island, and on Whidbey and other islands on the American side. Birds are said to have been released in the Fraser Valley also at this time. These early introductions apparently failed, but later, stock said to have been released in the 1870's and 1880's 'took' on Vancouver Island, and a population was established. The birds were confined t the southern end of the island, and from reports of old-time hunters it appears that they were fairly numerous in certain areas, although never so abundant as the California Quail. Present status of Mountain Quail in British Columbia: Small numbers in the Highland District (Durrance Lake) near Victoria and occasionally reported from the Malahat in the vicinity of Spectacle Lake. They re reported to nest in the vicinity of Cabin Pond on the Goldstream watershed. Small numbers are also reported occasionally from Mount Sicker and Herd Road near Duncan. There are records of the species from Vedder Mountain in 1921, but to our knowledge, no authentic reports have been received from the Fraser Valley since that time. 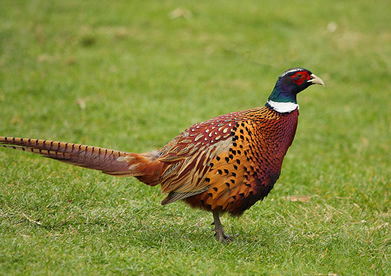 Ring-necked Pheasant were first introduced to British Columbia by Mr. C. W. R. Thompson of Victoria in 1882. Twenty birds arrived from England, but all died. The following year Mr. Thompson released, at Esquimalt, twenty-five birds that were obtained from China; these survived and did well. In 1886 Edward Musgrave released twelve Chinese birds on Saltspring Island; in 1890 twenty were obtained from the same country and released on Prevost Island. In 1890 the Mainland Protective Association released twenty pheasants at Point Grey, and in 1893 twenty-five birds were released at Ladner. Between 1890 and 1900 introductions, numbering eighty-two birds, were made in the province, and in 1910 the Provincial Game Commission took over the breeding and releasing of pheasants. Later introductions were made to the southern interior, the Queen Charlotte Islands, and to the northern interior in the vicinity of Vanderhoof. Present status of Ring-necked Pheasant in British Columbia: Well established throughout suitable habitat in the southern interior, mainly in the Kamloops-Okanagan-Osoyoos area west to Cache Creek, at Alkali Lake in the Cariboo and south throughout the arable lands on the Lower Mainland, Vancouver Island, and islands of the Fraser River. A small population occurs also near Tlell on the Queen Charlotte Islands. Up until 1957 the Provincial Game Commission has released pheasants annually in the more heavily hunted sections of the range, and although some fluctuation in population numbers is apparent from year to year, the Ring-necked Pheasant is well-established in the province. Black Game were introduced to British Columbia in 1906 by a Mr. Chaldecott and Mr. Musgrave, when nineteen birds were released on Vancouver Island and adjacent islands, and sixteen were released near Nicomen on the mainland. The stock originated from Copenhagen, Denmark. Present status of the Black Game in British Columbia: The introductions were unsuccessful and this species does not occur within the province. In 1906 fourteen Capercaillie were released near Cowichan Lake on Vancouver Island and eight were liberated near Lake Bunsen on the mainland. Stock was obtained from Denmark by Mr. Chaldecott and Mr. Musgrave. Present status in British Columbia; The introductions failed and the Capercallie does not occur in British Columbia. Two pairs of Wild Turkey were introduced to James Island in 1910 by Sir Richard McBride and a group of associates. The turkeys multiplied and were fairly numerous for a number of years, some making their way to Sidney Island. The last bird is said to have been shot in 1929. According to residents of Pender Island about twelve birds were introduced there in 1931 by Game Warden L. H. Walker. Present status in British Columbia: Apparently none has survived. The European Rock Dove, or domestic pigeon, was first brought to Canada by Lescarabot in 1606-07 (Saunders 1935), and no doubt many other introductions followed. 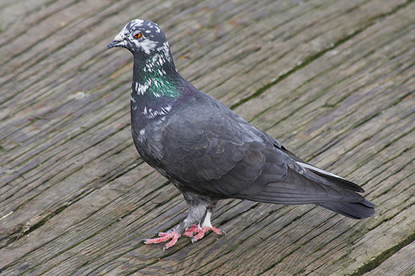 The Rock Dove is well established across the continent, mainly around centers of human habitation. In British Columbia, no free-living colonies are known outside of settlements, but practically every community has feral and domestic populations of this bird. In the fall of 103, 100 pairs of Skylarks were released near Victoria by the Natural History Society of British Columbia. In 1913 an additional forty-nine birds were liberated in the same areas. Others are said to have been released about the same time on the Lower Mainland at the mouth of the Fraser River (Brooks and Swarth 1925). Present status in British Columbia: Established wherever suitable grasslands occur in the Victoria area and on the Saanich Peninsula; failed elsewhere. European Starling (Sturnus vulgaris), photo by Diane Williamson. 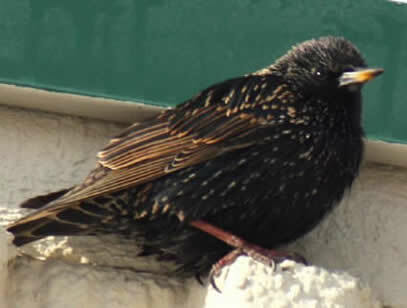 The European Starling was first introduced to North America in 1890 and 1891 at Central Park in New York city. Since that time it has gradually spread north, south and west throughout most of the United States and Canada. It was first recorded in British Columbia in 1947, and since that time has become established over the southern half of the province. There are records from as far west as the Queen Charlotte Islands and Vancouver Island, and a large population winters in Vancouver on the Lower Mainland. This bird, commonly called the Japanese Starling, apparently arrived on coastal British Columbia around the turn of the century. It was believed to have been introduced by Oriental immigrants living at Vancouver, or to have arrived accidentally aboard ships (Munro 1922). The first authenticated report came to the attention of the provincial museum in 1897, when two pairs were reported in the city of Vancouver. In 1904 specimens were taken by the Museum, but were reported scarce at that time. Between 104 and 1920 the population within the city increased rapidly and the birds were common during the 1930's. Present status in British Columbia: Confined largely to the Vancouver area where populations within the city have declined. Birds are now seen in rural areas around Vancouver and New Westminster. There are a few records from Victoria, Nanaimo and Courtenay on Vancouver Island. According to Barrows (1889) the house sparrow was first introduced to North America at Brooklyn, New York in the fall of 1850 by the Brooklyn Institute to control insect pests. Many other introductions followed, the largest in 1869, when 1000 birds were brought from Europe and released in Philadelphia by the civic authorities. Between 1850 and 1881, about 1600 birds were introduced directly rom England, most of them released in the eastern United States. During this same period, stock from established sparrow populations in the eastern United States were transferred to many parts of the United States and eastern Canada. The spread of this species in both area and numbers was phenomenal. For example, in Ohio in October 1887, Mr. Charles Drury reported one flock near Ross Lake composed of tens of thousands of birds. So plentiful did it become that bounties were paid in some sections, and the birds appeared on the market for sale as food. We can find no record of the date of arrival of this bird in British Columbia, but as it was well established in California and northern Utah by 1886, it seems logical to assume that the house sparrow invaded this province within a few years of that date. Present status in British Columbia: Common in settled areas throughout the province, less common in northern areas. The populatin has become stabilized at a level far below that recorded for the early part of the century. Atlantic Salmon were first introduced into British Columbia in 1905, when 90,000 fry were released into Coquitlam River, Lillooet River, and Harrison Lake on the mainland, and into Campbell River, Comox Lake, Horne Lake, Nanaimo Lake, Cowichanw lake, and Koksilah River on Vancouver Island. in subsequent years more plantings were made in other bodies of water, particularly into the Cowichan system, which was judged to be the most suitable for this species. For these introductions, which were continued until 1933, eggs were imported from the Canadian Atlantic coast as well as direct from Scotland. There appear to be only three authentic records of Atlantic Salmon being taken by anglers, all small fish, and none since 1926. The introductions have obviously been failures (See Carl and Clemens, 1953; Dymond, 1955). Brown Trout were introduced into British Columbia largely as the result o pressure put upon the Federal Fisheries Department b persons interested in improving angling in coastal rivers during the off-season. Reasoning that since the native trout of Europe remains in their streams all year around, advocates suggested that these ish would provide a sport fishery in British Columbia uring the summer months when native fish are usually absent or difficult to catch. Accordingly, in response to repeated requests, 20,275 fry and 239,858 fingerlings and older ish were planted in the Cowichan River systems during the years 1932 to 1935, and during the same period 163,786 ry and 123,577 ingerlins and yearlings were released in the Little Qualicum system (Neave and Carl, 1949). Both river systems are on the east coast of Vancouver Island, and both include a lake and numberous tributaries. In both cases the plantings were successul, inasmuch as brown trout became established and have persisted. The first natural spawning run observed in the Cowichan system took place in 1937, when twenty-two females and fourteen males were taken in traps in tributary streams near the old Cowichan Lake hatchery (Carl, 1939). Evidence of natural reproduction in the Little Qualicum is largely circumstantial. A run of fish in spawning condition was observed in early 1937; in 1939 a spent trout was taken; and in June 1939, a 5-inch fingerling was caught and released. In the Cowichan system, Brown Trout are present in the portion of the river above Skutz Falls, although they are not numerous in relation to the native trouts. They have been taken in tidal portions of both rivers right down to the sea, but the only evidnce of salt-water entry is provided by one individual taken in Niagara Creek near Goldstream (Malahat) in 1952, about 15 miles north of the Cowichan River mouth. The Speckled Char or Eastern Brook Trout is found in many lakes and streams in British Columbia, but nowhere in the province does it form a major sport fishery. On the mainland it is confined to the southern interior, especially in small lakes and streams in the Okanagan Valley and in the Keremeos area. On Vancouver Island the speckled char is present in the upper reaches of tributaries to the Cowichan system and in Spectacle Lake in the Malahat District. It is also reported to be present in Somenos Lake and Round Lake near Duncan. The natural range of this fish is north-eastern North America, where it thrives best in clear laks and cold streams. It was first introduced in British Columbia sometime prior to 1917 in the form of fry released from the Gerrard Hatchery at Trout Lake in the Kootenay District. Atlantic Coast Shad were first introduced on the Pacific Coast between 1971 and 1880, when 621,000 fry were released in the Sacramento River, and further lots, amounting to 910,000 fry, were planted in the Columbia system in 1885-86 (Neave, 1954). A fisheries of some importance developed on the Columbia by 1888, and the species was first reported as occurring in British Columbia in 1891 when a full-grown specimen was taken in the Fraser River (Carl and Clemens, 1953). The following year, several shad were taken at Rivers inlet, about 250 miles north of the Fraser. Since that time, shad had been taken continuously in these and other localities in British Columbia, and north as far as Cook Inlet, Alaska. Lately the number taken near the mouth of the Fraser has incrased but there is little indication that this species will ever become of commercial importance in this province. Bass of this species are found in Vaseaux, Osoyoos, Christina and Kootenay Lakes, all part of the Columbia system. They were first brought to the Northwest in 1890, 1891, 1883 and 1885, when they were widely planted in Oregon and Washington by the United States Bureau of Fisheries (Smith, 1896). The Kootenay Lake bass has probably originated from fish that escaped from private ponds into the Kootenay River at Bonners Ferry, Idaho, in 1916 (Dymond, 1936). According to Dymond, largemouth basss were taken for the first time near Kootenay Landing in 1921, and they had spread to Pilot Bay by 1928. Those in Osoyoos and Vaseau lakes probably gained access by way of the Okanagan River from the south. Smallmouth bass are known to occur in the following British Columbia lakes: Christina and Boldue (Columbia system); Florence, Langford, Beaver, Elk, Prospect, Durrance, Lost and Glen (all in the vicinity of Victoria); Spider (north of Nanaimo), St. Mary (Saltspring Island). They are also reported to be present in Moyie Lake (south of Cranbrooke) and Mirror Lake (south of Kaslo). Smallmouth bass were first brought to British Columbia as fry or fingerlings in 1901 and were planted in Christina Lake on the mainland and in Langford and Florence Lakes on Vancouver Island. In 1920 a few fish were removed from Langford Lake and released in St. Mary Lake, Saltspring Island; three years later, specimens were tansferred from Florence Lake to Spider Lake. The other lakes now containing this species were probably subsequently stocked from these sources. Within the province, Pumpkinseeds are present in Christina Lake, Kootenay Lake, Boldue Lake and Osoyoos Lake on the mainland, and in Beaver, Elk, Prospect, Landford, Blenkinsoop (Swan), Glen, Glintz, Young, and possibly other small lakes on Vancouver Island. They are also found in Colquitz Creek, draining Beaver and Elk Lakes. There appears to be no authoritative record of the introduction of this fish into the Northwest. Lampmam (1949) states that adult largemouth bass and small fry of "various sunfish" were released into the Willamette River in 1893 by the United States Fish Commission, and it is assumed that Pumpkinseeds were included. In any case, they became widespread in Oregon and Washington at a fairly early date, and it is possible that those in the mainland lakes of British Columbia originated from this source by natural spread up the Columbia River and its tributaries. On the other hand, it has been suggested that Pumpkinseeds were introduced accidentally into the British Columbia lakes along with Black Bass fry. This seems the most likely explanation for their presence on Vancouver Island, where they are found in lakes that also contain Smallmouth Bass. Crappies were first noted in British Columbia in Hatzic Lake in 1933 (Hart, 1934), and since that time they have been discovered in many other lakes and backwaters connected with the lower Fraser system. Black Crappies and their cousins, the White Crappies (Pomoxis annularis) are widely spread in Washington and Oregon, where they were first released in 1890 and 1892. No record is available as to how Black Crappies reached British Columbia, but it is assumed that they were the result of transplantation, probably from Washington, the nearest source. Perch in British Columbia are confined to Osoyoos, Vaseaux, Galllagher, and possibly other lakes of the Okanagan system, and are also reported from Lush Lake, near the Keremeos Highway, and in Shannon Lake, near Westbank. They probably originated from Washington where the species was first introduced in 1890, and where it is now widely distributed. Catfish are found in many lakes and streams of the lower Fraser system on the mainland of British Columbia and in a number of lakes on southern Vancouver Island (Carl and Clemens, 1953). They are also widely spread throughout most of the Pacific Coast States, but the details o their introduction are not known. Catfish were recorded from Silver Lake, Cowlitz County, Washington as early as 1888 (Smith 1896), but were undoubtedly planted there some years previous to that date (Lampman 1949). Fish escaping via the outlet to the Columbia probably were the ancestors of those now found in the lowland waters of Washington and Oregon, though other plantings were also made. How and when catfish arrived in the lower Fraser system of British Columbia is unknown, but those on Vancouver Island apparently owe their origin to the late Mr. H. E. Levy, who is said to have imported live specimens in 1906 from Portland, Oregon, for display in a tank in his restaurant. A few of tehse live fish were subsequently given to a man by the name of Clark, who planted them in Beaver Lake, a few miles north of Victoria, by throwing them from the window of the train which in those days operated between Victoria and Sidney. About the same time, others were placed in Langford Lake, about 10 miles north-west of Victoria. The other bodies of water on Vancovuer Island in which catfish are now found probably were stocked with fish taken from either of these two sources (Carl and Clemens, 1953). In British Columbia the Black Catfish is known only from Osoyoos Lake, where it was first collected in 1941 (Carl, 1945). Earlier reports of this fish were apparently based on the Brown Catfish, which is widely spread in the coastal area. The Black Catfish ws recorded from the State of Washington in the Columbia River as early as 1895 (Smith 1895) but is not otherwise noted in the literature (Chapman, 1942). It must have entered British Columbia by way of the Okanagan River, a tributary of the Columbia. Carp were brought to North America as easly as 1831 (Dymond 1955) and were widely distributed in the United States before the 1880's. They are now found in most of the major river systems of this continent. The rapid spread of this fish is partly due to man's activities and party due to the carp's versatility and ability to penetrate into new watersheds. While carp are used as a food in some areas, they are now generally considered to be a pest because they destroy vegetation and compete serously with more desirable fish for food, and attempts have been made to eradicate them from some lake systems. In British Columbia, carp are now fond in most of the lakes of the Okanagan, in Arrow, Twin, Horne, Christina, and other lakes of the Columbia system, in the Fraser system, and in Glen Lake on Vancouver Island (Carl and Clemens, 1953). The carp on the mainland apparently originated from stock first introduced into Washington in 1882. Clemens et al. (1939) give 1917 as the probably date when carp first appeared in Okanagan Lake. Those in the Shuswap Lake region were first noted about 1928. It is locally believed that they entered this region through creek crouses or irrigation-ditches near Armstrong, where the divide separating the two great watersheds is of very low elevation. Specimens taken in Popkum Creek near Chilliwack in 1939 or 1940, in Hatzic Lake in 1944, and one individual off Point Grey in the brackish water on June 7th, 1946, indicate that carp have now made their way down the Fraser system to the coast. The carp on Vancouver Island are said to have been introduced into a swampy pond adjoining Glen Lake more than forty years ago. Those in the lake may have been planted at the same time or may have escaped from the pond to the lake by way of drainage ditches. They are now the dominant fish in this lake. European Tench are present in Christina Lake and in Osoyoos Lake of the Columbia system in southern British Columbia. They were first noted in the former about 1915 (Dymond 1936) and were first collected at Osoyoos in 1941. Undoubtedly tench have gained access to these lakes by way of the outlet streams from Washington to the south, where they are quite widely spread (Chapman, 1942). There appear to be two explanations pertaining to the origin of tench in Washington. According to Dymond (loc. cit. ), fish of this species were brought to Seattle for the World's Fair in 1909 and afterwards were dumped into a large goldfish pond on the campus of the university. From this source some were released in Lake Union and possibly into other water systems as well. Chapman (1942), on the other hand, states that the first known introduction of tench into the Northwest was plantings made by the United States Bureau of Fisheries in small lakes of Spokane County, Washington, and Washington County, Oregon, in 1895. Tench are now present in the Columbia River and in certain streams and lakes of the Puget Sound drainage, especially Lake Washington and communicating lakes. In any case, it seems logical to assume that the tench now found in this province found their way north via the Columbia River system, into which Christina and Osoyoos Lakes drain. Goldfish are known to be present in a large natural pond at Salmon Arm and in a small lake in the Lac du Bois area near Kamloops. Those in the pond were first noted in 1935, and a peak population was attained in 1941, when large numbers formed a dark gold band around the ede as the fish congregated in the shallows (Carl, 1945). Many brightly coloured individuals were present at that time, but as these tended to be taken by ospreys and other predators, the population gradually became composed mainly of fish possessing the ancestral olivaceous colour. These wild goldfish undoubtedly originated from a few individuals turned loose from an ornamental pond or aquarium. In isolated ponds and small lakes they would probably do no harm, but in systems that support sport or commercial fish they are certainly undesirable. Tom minnows (presumedly these species) were introduced into a natural pond in the Kelowna area by the Kelowna Golf Club in 1929 as part of a mosquito-control programme. Regarding the history of the introduction, Game Warden W. R. Maxon, of Kelowna, report that "...the minnows were quite active the first summer they were liberated and a considerable decrease in the mosquito population was noticed, but owing to the dense growth of bulrushes around the edge of the pond, the minnows were unable to work 100 per cent. There were little pockets of water which the minnors could not get into." "During the following summer no minnows were observed. This was no doubt caused by winter kill. There is no fresh water running into this pond, and as it was used for a skating rink during the cold weather, the ice became so thick the minnows died, and none have been observed since. (Report, Office of Game Commission). Green Frog (Lithobates clamitans), photo by Diane Williamson. 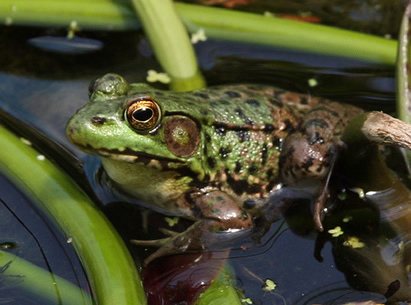 For a number of years, green frogs used to be present in a few ponds on the outskirts of Victoria and possibly also in some small lakes of the district. Their present status is unknown, but small populations probably still exist where the growth of the city has not eliminated the habitat. They have also been collected at Little Mountain, Hope and about 90 miles up the Fraser Valley from the coast (1948 and 1949). 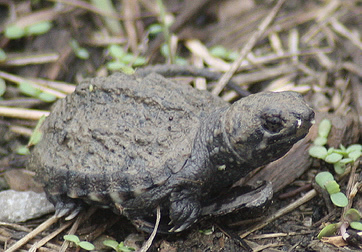 In 1913 six snapping turtles (presumably Chelydra serpentina from eastern Canada) were released in a slough near Woodwards Landing by Mr. D. Woodward, according to Mr. T. L. Thacker of Hope, BC. Ten years later a snapping turtle was collected near Steveston, a few miles below Woodwards Landing, on the North Arm of the Fraser River, but apart from this record none has been seen since. The Japanese or "Pacific" Oyster was first introduced into the Puget Sound area in 1902, and the first shipment of seed oysters to be planted in British Columbia arrived in 1914. By 1926 a considerable industry had developed in Samish Bay near Bellingham, Washington, and success had been attained by plantings in Ladysmith Harbour, Vancouver Island. By 1932 about four million seed oysters had been imported into British Columbia and planted mostly in Ladysmith Harbour. In subsequent years, seed was also planted in Boundary Bay (Crescent Beach), Pender Harbour, Baynes Sound, Cortes Island and other areas. Natural spawning was first observed in 1926 (Ladysmith Harbour), but it may have taken place earlier than this date, possibly in other areas where fishermen may have planted oysters for their own use. The first major spawnings followed by heavy spatfalls occurred in 1932 and 1936 in Ladysmith Harbour, and in subsequent years scattered individuals were found many miles from this centre. Since then breeding has been irregular. Extensive breeding in Baynes Sound and Pender Harbour in 1942 resulted in the distribution of the Pacific oyster throughout northern Georgia Strait. Atlantic Coast oysters were brought across the continent to the Pacific soon after the first railway-line was completed early in the twentieth century. The first recorded introduction or British Columbia consisted of three or four carloads of oysters, which were planted in Boundary Bay and Esquimalt Harbour in 1906 (Elsey, 1933). The first importations were apparently of young seed oysters, but the mortality was so high later shipments consisted chiefly of 3- and 4-year-old oysters, but even with this material the margin of profit was so small that by 1912 the quantity imported began to diminish greatly. In recent years no Eastern Oysters have been imported. There is no record of the year when Eastern Oysters first spawned in British Columbia, but in 1917 and 1918 spat were discovered in the tidal portions of the Nicoekl and Serpentine, two muddy rivers that empty into Boundary Bay. The Eastern Oyster is easily distinguished from the native oyster by its larger size at maturity (3 1/2 to 6 inches in length), and it may be easily separated from the Japanese species because the shell is yellowish-brown (not tinted with purple) and lacks the laminations and deep grooves of the Oriental oyster. The mantle, which lies next to the inside of the shell, has light-brown border, not a black one as in the Japanese oyster. The Soft-shell Clam is widely distributed in Europe and along the Atlantic Coast of North America, but it is not native to the Pacific Coast. It first came to notice in 1874, when a few specimens were found at Oakland, California, having possibly been accidentally introduced at this point along with seed oysters from Chesapeake Bay. The new import multiplied rapidly, with the result that it soon was being exploited commercially in the San Francisco Bay area and began to spread outside the Golden Gate. Taylor (1895) state it had not been found at Victoria prior to 1888, but by 1890 it occurred in abundance, and by 1895 had extended its range to northern Vancouver Island. The species probably spread from Puget Sound, where clams had been planted from Willapa Harbour, in which area they had been abundant since 1884. Thompson (1912) recorded it from southern British Columbia, but not the Queen Charlotte Islands. In 1939 extensive beds were found in Masset Inlet in those islands, and in 1955 small numbers were found in Naden Harbour. In the same year (1955), Mya arenaria was taken in Prince Rupert Harbour and in Work Canal, although doubtless the species had occurred there or a considerable time but had not been reported. Some confusion still exists regarding the origin and speciation of Mya arenaria on this coast, since it has been reported (probably erroneously) from British Columbia Indian middens and because Mya japponica (also known as Mya intermedia), a form intermediate between M. arenaria and M. japonica, is reported by some authors to occur from Alaska south to Washington. The Japanese Little-neck or Manila Clam was first discovered in 1936 in Ladysmith Harbour, where it had presumably been introduced by accident along with the seed oysters from Japan (Quayle 1941). In a few years it became more abundant in this area than the native little-neck and soon entered into the commercial catch. The larvae presumably spread from this centre mainly by the aid of tidal currents, so that adults began to appear many miles from the point of original introduction. Thus Neave (1944) records the spread as follows: Saanich Inlet (Somenos Island), 1941; Departure Bay (Nanaimo), 1942; Bargain Harbour (near Pender Harbour), 1942; False Narrows, 1944; Nanoose Bay, 1944; False Bay (Lasqueti Island), 1944. Since in all these instances some of the clams were several years old, the actual invasion must have materially preceded these dates of discovery. It now occurs throughout Georgia Strait and Barkley Sound. The tidal passages at the northern end of Georgia Strait presumably create a temperature barrier, for it does not occur north of Seymour Narrows. The Japanese Oyster Drill was accidentally introduced into British Columbia and the State of Washington with Japanese Oyster seed. It has been fairly abundant in Ladysmith Harbour since about 1935 and in Boundary Bay since 1942. It is not an extremely serious pest in the latter area, but in Ladysmith Harbour it causes considerable damage to seed oysters. Individual specimens have been found in Comox Harbour and at Sooke. As far as can be ascertained, the distribution of the drill throughout Ladysmith Harbour has been unchanged for the last fifteen to twenty years. The Eastern Oyster Drill apparently arrived on the west coast of Canada along with oysters from the Atlantic coast. The date of arrival is not known, but it was probably about 1906 or shortly after. It soon became a pest of some importance on the oyster beds in Boundary Bay near Crescent Beach and subsequently made its appearance in Ladysmith Harbour, where only occasional specimens are now found. The Eastern Mud Nassa has also been accidentally brought to the British Columbia along with Atlantic Oysters. It is now firmly established in considerable numbers in the Boundary Bay area, inhabiting chiefly the soft, muddy habitats. The species is not harmful to oysters. In 1946 a further lot of lobsters was brought out from Prince Edward Island through British Columbia Packers Limited. They were divided into two lots. One group was confined in a large concrete tank at the Pacific Biological Station, Departure Bay, Nanaimo, but the lobsters in this lot died before the second day. The second lot of 1,605 individuals was released in a lagoon on Lasqueti Island, where they were kept under observation but were not confined. A trapping program was carried on in the lagoon each season, but was discontinued in 1948, when only three lobsters were taken. "Following the hatching of larva in the summer of 1955, we released about eighteen mature lobsters in the salt water lagoon behind the net. That winter the net was breached by drift logs and big tides, and these lobsters were free to leave. We have reports of two lobsters being taken in crab hoops in Prince Rupert harbour in the summer of 1956, and a sworn statement that one lobster in good condition was taken in May, 1956, at the north end of Stevens island, about 20 miles distant. No other lobsters have been released." "Our latest shipment was in 1956 and a number of these lobsters are still alive in our pens after moulting in this summer (1957). The principal mortality is from lobsters fighting each other; the remainder from inimical conditions in the small cages were they are confined." The present status of the lobster is uncertain, but since some have lived for several years in captivity, a few may still be existing in the wild state.